Triumph Motorcycles are the largest motorcycle manufacturer in Britain. Since 2010, they have contracted Beigebell to supply their bespoke accessories range. Beigebell manages the supply of over 50 product lines across a wide range of categories, collaborating with industry-leading manufacturers to deliver exclusive products that meet the high standards of Triumph. 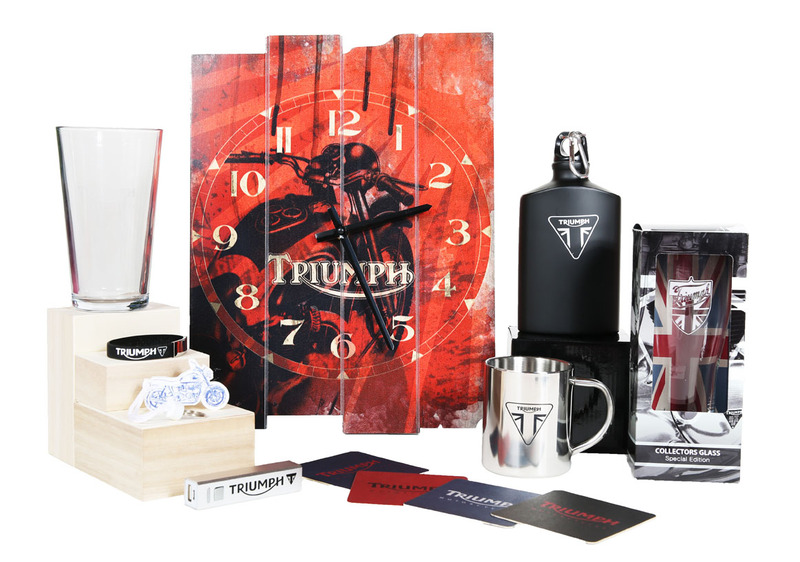 We are proud to supply the official Triumph accessories range. Beigebell have worked tirelessly developing new season ranges year on year. They have helped in the early stages, pioneering new ideas that fit the Triumph brand, right the way through to suppling the finished products. Always delivered to the highest quality standards. - Supply Chain Manager, Triumph Products & Accessories.